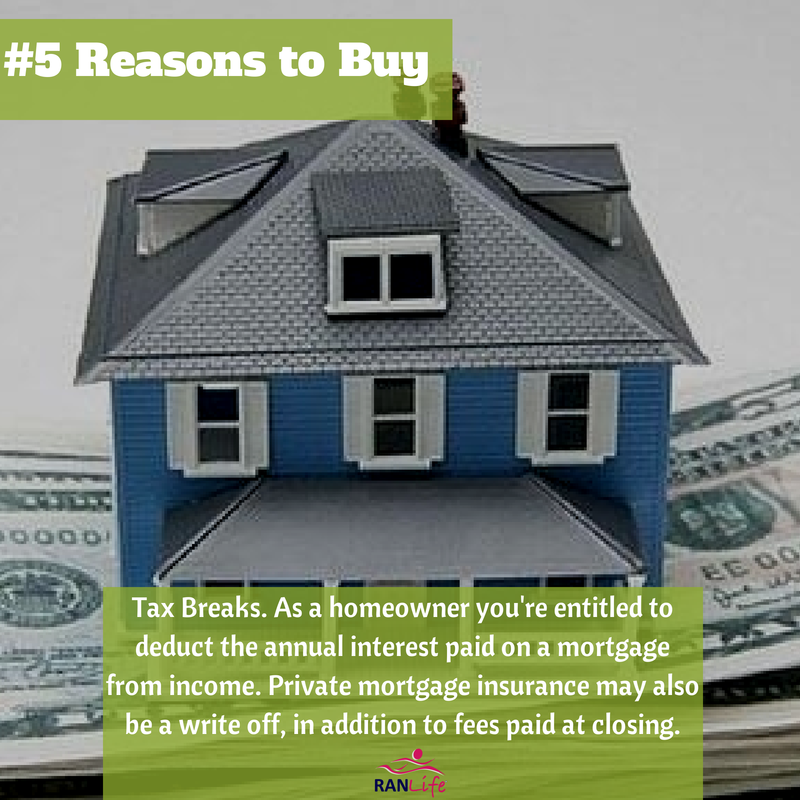 We're bringing you 26 Reasons to Buy a Home and this week is reason #5: Tax Breaks. One of the biggest benefits when it comes to buying a home is the tax writeoff you can claim for being a homeowner. Many buyers forget this perk! As a homeowner, you're entitled to deduct interest paid, Private mortgage insurance, and even fees paid at closing.